Answers to your questions about the sacrament of Reconciliation. 168 pp. 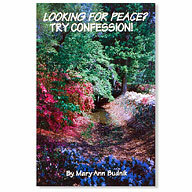 Notify me of updates to Looking for Peace? Try Confession.